"We Tried Another Vendor, But Came Right Back to A Creative Touch! 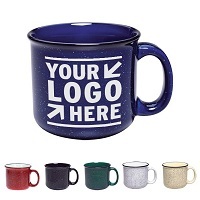 I happen to know Renée Jones personally, so when I joined my company in 2005, I was delighted to learn that our company was already using A Creative Touch Incorporated to purchase all of its branded promotional products. As Marketing Director, I have purchased branded sticky notes, pens, tote bags, cooler bags, water bottles, cups, key chains, t-shirts and more, to use as promotional items for health fairs, hospitals, senior centers and doctors' offices. I can always count on Renée and her team to provide us with quality products in a timely manner, but what I most appreciate about A Creative Touch Incorporated is the exceptional customer service. From the moment I make a request until the moment we receive our order, ACT keeps me up-to-date. There have been occasions when a shipment has been delivered to our company, but it hasn't yet made its way to my office. More than once, that personal phone call from Renée--"Your product has arrived; did you get it?" --has been a welcome prompt. Sometimes, Renée even stays on the phone while I open the box and inspect the items ordered to ensure they meet my satisfaction. Vendor approval comes from our corporate office. Nearly two years ago, headquarters asked us to try a different promotional products vendor offering aggressive pricing. The pens ran out of ink; the sticky notes wouldn't stick; and the customer service was nothing like the quality service we were accustomed to receiving from ACT. 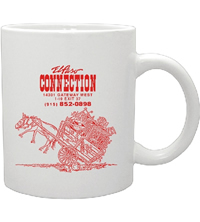 Today, we're back to using A Creative Touch Incorporated exclusively for all of our promotional product needs. Having the privilege of knowing Renée Jones personally and working with her professionally, I can attest that she approaches everything she does with a level of integrity, commitment, and pride that puts her miles ahead of her competition." "A Creative Touch Has the Magic Touch! The first time I called Renée Jones of A Creative Touch Incorporated, I had just started working as an intern. Renée was a long-established vendor for our company, who had very little to gain by “being nice” to an intern. Yet she made me feel welcomed, learned my name right away, and took an interest in getting to know me. One of my first tasks was to participate in the planning of a luncheon with the theme: “Volunteer Round-Up”. When I asked Renée to help me source products suggestive of a chuck wagon, she found a great chili bowl that looked like a Dutch oven—it was perfect! Since my days as intern, I’ve not only joined my organization as a full-time Specialist (Renée rooted for me to get hired! ), I’ve both worked with Renée remotely and spent time with her in person at our national conferences. If you could hear my voice, I would tell you: “I just loooooove her!” As a professional, she does everything right: she’s proactive, yet she doesn’t “harass” us (as some vendors do). She never charges our credit card before she’s supposed to (as some vendors do). And, she always looks out for our best interests, steering us away from poor quality items (not something all vendors do) and guiding us toward promotional products she knows will delight us. Personally, Renée has a heart of gold. She truly cares about our clients, our volunteers, and our employees (like me). No matter how restrictive my budget or how far-fetched my idea, I can always count on Renée and A Creative Touch Incorporated to work magic! " "Great Gift Ideas from ACT Had Our Volunteers Saying "Encore!" I have worked with Renée Jones of A Creative Touch Incorporated for more than a decade, and I have learned to depend on her incredible insight. She has established relationships with all of her vendors and knows their product lines well, allowing her to recommend the highest quality items that provide the best value. Renée also stays on top of all of the newest products and trends in her industry, always offering valuable insight when we ask her for unique promotional items or volunteer recognition gift ideas. In fact, she has never steered me wrong! For example, two years ago, Renée suggested giving our volunteers high-quality day planners for Christmas. They were such a hit that as the calendar year drew to a close, several volunteers approached me to say: "If you're looking for an idea for Christmas gifts, we'd love to have the same thing again!" I took their not-so-subtle hints and re-ordered them to the great delight of our volunteers. In early January, I took the leftover stock of planners to a ribbon cutting to give to the attendees. They quickly jumped at the chance to have one of their own; not a single planner was left over. Not only does Renée make thoughtful gift suggestions for our volunteers, she gives great gifts too. 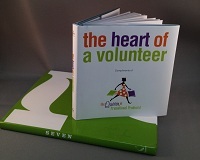 She recently sent us a book called "The Heart of a Volunteer" which contained wonderful quotes about the importance of volunteer service. This thoughtful gesture was perfectly timed; we were able to use quotes from the book as inspiration while planning an upcoming volunteer recognition event. In short, Renée's product knowledge, creative ideas, and exceptional service are the reasons I've done business with her for more than a decade." "A Creative Touch Always Goes Above and Beyond—Even During Hurricanes! I’ve had the pleasure of working with A Creative Touch Incorporated for the past six years. In a word, Renée Jones and her entire staff are “awesome!” Even though I know the ACT office is a busy one, Renée treats me as if I am her only customer, taking time to address my every need while going “above and beyond” to deliver quality products and outstanding service. For example, several months ago I called Renée to request a detailed spec invoice I urgently needed in order to obtain requisite comparative quotes before placing an order. Renée is headquartered in Wilmington, NC, and on the day I called, the area was being battered by tropical rains and strong winds as a hurricane made its way up the coast. Renée had actually answered my call while in the process of evacuating. Despite the fact that she was in her car; she had no access to her computer; and she had much more pressing concerns (like her personal safety! ); Renée still managed to pull up the information I needed and email it to me via her iPhone. Looking out for her customers while in hurricane winds and rain--now that’s what I call service that goes “above and beyond!”"
"I Make One Call and A Creative Touch Does It All! What do I love about the service from Renée Jones and A Creative Touch? Her products always arrive on time and she saves me time! I can call Renée with a verbal request ("Here's what I need or here's what I'm thinking...") and count on her to do the rest. She does all of the research and calls me back with great options to consider, even when I need something in a pinch. For example, two years ago, we wanted a thoughtful holiday gift for all of the patients in our hospital. Renée suggested a pair of quality rubber slide flip flops. Our patients absolutely loved them because they could wear them in the shower, in the hallways, or even outdoors. In fact, the slides were such a success, we ordered them again this year. Another time, when we were stumped for a creative gift idea for our hospital patients, Renée recommended pillows and high-quality pillowcases. The standard issue pillows in most hospitals are notoriously uncomfortable, so this was an excellent idea. 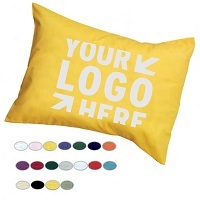 Renée sourced soft, luxurious pillowcases with a quality thread count and then customized them with our branding. 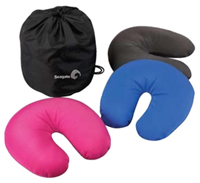 The patients were so appreciative of these comfy pillows they could use both in the hospital and later, at home. I highly recommend A Creative Touch, Incorporated. After six years as a client, if I had to describe the company with just three words they would be: Helpful, Effective, and, of course, Creative." "In 2002, I assumed the role of Director of Volunteers for a North Dakota Health Care System. When it came to fulfilling my promotional products needs, I heard nothing but rave reviews from my colleagues in the field about Renée Jones of A Creative Touch, Incorporated. I worked with her from 2002 until my retirement in 2012. During an entire decade of doing business together, Renée and her team consistently provided outstanding customer service. Her approach was proactive and helpful—she kept up-to-speed on our events schedule and always suggested appropriate gifts and promotional items that would tie in with the themes of our events and banquets. I really appreciated Renée’s candor and her dedication to ensuring our complete satisfaction with each order. If she felt a product was not “up to snuff” she would tell us, and gently steer us toward something of a higher quality. If she knew of a similar item at a better price point that would be more budget-friendly, she was sure to let us know. In fact, my last promotional products order was a perfect case in point. 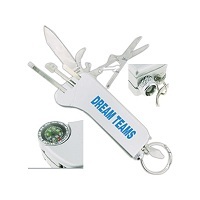 I found a great multiplier tool—one of those compact, portable tool sets with pliers, knives, a wire cutter, a ruler, a corkscrew, and even a flashlight! I had my heart set on giving this item to our hard-working volunteers. Unfortunately, it had been discontinued. When Renée learned this, she worked to source similar multipliers with many of the features I liked about the one I had originally selected. But, the manufacturer of my second choice had listed their multiplier on backorder and was unable to guarantee delivery in time for our event. Renée was undeterred. With more than 850,000 products in her inventory, she knew she could find a quality item that would delight our volunteers. She found a multiplier with more than a dozen functions and its own carrying case. The shipment has arrived, and I couldn’t be more pleased with the quality and utility of this product. Even with “two strikes” against us, A Creative Touch, Incorporated managed to deliver a home run! As I transition my duties to others within our organization, I will be sure to recommend A Creative Touch, Incorporated as an “all-star” promotional products provider." 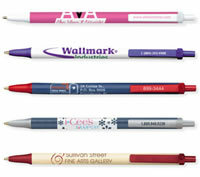 "Renée Jones is the Queen of Promotional Products. And, having worked with her for a nearly a decade, I can say that she always treated me like a princess! Pleasant, proactive, and able to accommodate any request, Renée definitely has the royal touch when it comes to customer service. Even better, she’s a queen who is willing to hustle. In a government agency, purchasing is challenging to say the least. Upon my retirement, I joked that I had worked for the government for 27 years and I still didn’t understand how it works! One of the things I appreciate about Renée is that she understands the system. Because she works with so many government agencies, she has the knowledge and the patience to operate effectively within our organization’s framework. 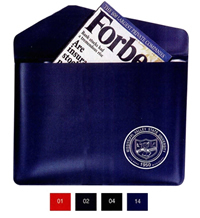 Due to our funding process, I often didn’t get funding for promotional products until the eleventh hour. This meant that 80% of the time, I needed my orders in a hurry. Renée didn’t mind answering emails late on a Friday afternoon, sending a proposed layout to me first thing Monday morning, and keeping me appraised throughout the entire process until the order reached me and met my satisfaction. In nearly ten years I can only think of one time when we had a little hiccup—some car magnets we purchased were the wrong shade of green. Renée immediately took the matter in hand and re-ordered the magnets which were perfect the second time around. Of her many admirable qualities, perhaps what I will remember most is Renée’s gratitude and appreciation for every single order. I purchased items several times per year, and she sent a hand-written thank you note signed by every staff member after each and every order. It was such a nice touch. When I announced my retirement, Renée was one of the first people I thought to inform. It was my turn to thank her for being an incredible vendor who felt just as much a part of my team as the co-workers in my office. I will be sure to share the name A Creative Touch with as many people as possible (including my successor) because as far as I’m concerned, Renée Jones isn’t just the Queen of Promotional Products—when it comes to running a great business, she’s the Queen of Everything!" "Just two weeks before our event, I contacted A Creative Touch, Incorporated about the possibility of ordering hats and comfort kits. Truthfully, I thought there was no way any vendor could help me with such short notice. Renée placed the order immediately, and a week later, the shipment was on its way to us! Not only did we receive our order on time, the items were high quality, done just exactly the way we wanted. We also ordered beautiful flute glasses for a volunteer recognition event that arrived without any breakage and looked so elegant. Our volunteers loved them. We'll be customers for life because A Creative Touch, Incorporated is tops in our book! Tight deadlines? Shipping fragile merchandise? No matter what the challenge, A Creative Touch, Incorporated always rises to the occasion." "I have done business with A Creative Touch, Incorporated for more than two years, receiving nothing but excellent and courteous service from Ms. Renée Jones and her staff. The entire team is professional, informative and kind. They have gone out of their way on several occasions to meet short deadlines while securing the best prices available. What really impresses me is that they automatically track my order, providing me with status updates until I receive the order. Many people consider their job done when they have placed an order on your behalf—not A Creative Touch, Incorporated. They don't consider their job done until you have satisfactorily received your entire order. You can't go wrong if you use this company—I give it five stars! *****"
"I am the owner of El Paso Connection, a 30,000 square foot retail destination in El Paso, Texas. Like a 'grand mercado', we sell a huge variety of items made in Mexico. Our logo is a cartoon rendering of a donkey carrying an overloaded cart full of Mexican handicrafts. My sister recommended A Creative Touch, Incorporated when she learned that I was looking to purchase mugs and glasses imprinted with our logo. With our complex, hand-drawn logo, I was concerned that my order might be difficult to pull off. I don't know why I was worried: Renée and her team worked quickly and made the entire process feel easy. By the end of that same day, she already had a proof for me to review. When I received the final product, I was thrilled with the quality! 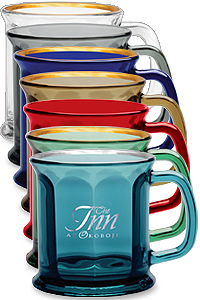 Everyone loves those mugs. It's a good thing that Renée has never missed a deadline and is always on time, because I'm always late. She's so great about calling to remind me when I need to take action on something that may have slipped too far down on my "to do" list. One time, when she hadn't heard from me regarding a standing order I place each year, she called to follow-up. One of my employees explained that I hadn't called because my husband and business partner had passed away. Upon hearing my news, the team at A Creative Touch, Incorporated sent me a sympathy card and a personal gift that really touched me. They truly are the nicest people I've ever met. Do they work hard? Yes, they do! Do they do an outstanding job? Yes, they do! Do they care a lot? Yes, they do! Should you do business with them? Yes, you should!" "I am the Volunteer Coordinator at a government-funded medical center. The volunteer program is extra-special because much of our program funding comes from private donations. When I spend money, I must show both our donors and the government that I'm spending it responsibly. I learned about A Creative Touch, Incorporated while chatting with a colleague who was already a customer. She raved about Renée because due to her personal volunteer service to the Disabled American Veterans Auxiliary, she understands the inner workings of a government volunteer system. My colleague also told me that she was a "young gal, full of energy, with really good prices". I didn't need to hear any more; A Creative Touch, Incorporated sounded like just the company for my volunteer program. René's familiarity with our organization is a huge benefit; she understands my role and my needs, and she works to help me within that context. A few times she has sent me reminder emails like: "Don't forget ex-POW observation is next month!" It's a good thing she was looking out for me, because if it hadn't been for that email, I probably would have forgotten! Our system still requires me to seek bids from multiple vendors and make decisions based primarily on price comparisons. Renée's products and pricing are competitive with other vendors, but her company's specialized knowledge and personalized service is priceless!" 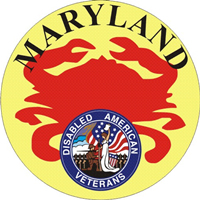 "Our Maryland-based volunteer service organization wanted a collectible lapel pin. We hadn't had one for years and with just a few weeks before our group's national convention, we didn't know how we were going to get one designed, approved, ordered, produced and delivered on time. I had learned that the normal production time for such a project is 6-8 weeks, but we needed them in just 10 days! After a few discouraging phone calls to other vendors (You want it when???? ), we thought we'd just have to wait another year…. Then, somebody told me about A Creative Touch, Incorporated. I called Renée and explained that we wanted a collectible pin to represent our state, but we hadn't gotten any further than a few ideas to include in the design. Perhaps a crab and our state flag? Renée responded immediately and within just a few hours, she sent us a design proof, pricing, and all of the information we needed to make a decision. Our group approved the pin just two weeks before our annual meeting. 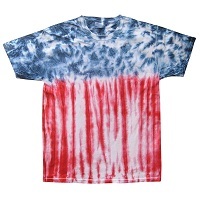 When I placed the order, Renée asked: "Do you want it in time for the national convention?" I hadn't dared hope that would be a possibility! A Creative Touch, Incorporated arranged to ship the pins straight to the hotel where the convention would take place. As promised, the order was waiting there when I arrived. Our new lapel pin was a huge success, and the beginning of a wonderful working relationship with Renée and A Creative Touch, Incorporated. Thank you for your wonderful service!" "It was my pleasure to work with the team from A Creative Touch, Incorporated during our search for items to be distributed to veteran patients at a Welcome Home event for Operation Iraqi Freedom veterans. From our initial conversations explaining our needs and requesting price quotes, I knew A Creative Touch, Incorporated was a conscientious and hard-working company. The staff's attention to detail helped ensure that a very detailed picture of an eagle was captured correctly in the embroidery on a hat we ordered. Our time table was tight, but A Creative Touch, Incorporated assured us that our items would arrive on time. They tracked the delivery of our packages right to their destination. We were very satisfied with the product, the price and the excellent customer service we received from A Creative Touch, Incorporated." This March, I needed to come up with a practical, useful, but "fun" give-away for our Children's Expo. I asked Renée to give me a few suggestions for a logo item that fit my criteria. 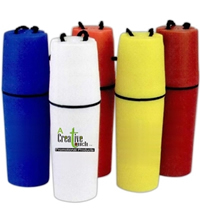 She recommended a floating, water-tight plastic cylinder on a cord that keeps personal items like keys and money safe. Even better: they were available in both teal and magenta, our signature colors! It was the perfect, creative solution for our event. Now really, "Who could ask for more?" "I've been a customer of A Creative Touch, Incorporated for years. 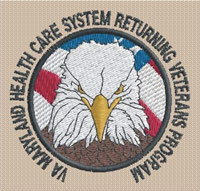 The staff provides beautiful and cost-effective items for our hospitalized veterans programs. My orders are processed immediately, and always received and reconciled within the deadlines we set. The staff at A Creative Touch, Incorporated gives us so much that it feels great to give back by supporting a female-owned and disabled-veteran-owned business." "It is tradition in our organization that each year the highest elected official creates a commemorative collectible to mark his or her year of service. One year, our National Commander wanted something unusual—a military identification tag. We'd never done anything like that before, so we asked Renée at A Creative Touch, Incorporated to help us source and create the piece. Renée was extremely responsive; she assisted us with the initial design work and then carefully negotiated about six weeks' of detailed back and forth communication as we finalized the image, the placement, the wording, and each detail of this highly customized piece. The final product was gorgeous; Renée's attention to detail and strong follow-up were key to another successful collaboration and another happy National Commander!" "Everything we have ordered from A Creative Touch, Incorporated has been of the highest quality and made to order perfectly. The staff is always very responsive to our needs, promptly returning calls or emails so that delays are minimized or non-existent. Renée and her staff always go the extra mile to ensure that the items we purchase meet our highest standards and offer us competitive pricing. It is always a pleasure to work with A Creative Touch, Incorporated; we are sure to get exactly what we need, when we need it, at a fair price." "For many years, I have had the pleasure of working with A Creative Touch, Incorporated. Renée and her staff have been very responsive, timely, and cost-effective whenever I have placed an order with them. Their products are top notch, and the customer service they provide their clients is very professional. I have always been satisfied with their work and I would recommend them to anyone!" 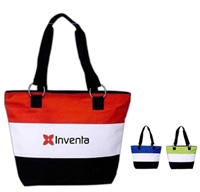 "When I placed a $6,000 order online with a large internet-based promotional products site, it was a disaster! Each time I called Customer Service I went through the hassle of speaking to a different representative who was not familiar with my order. And, although I placed the order well in advance of our deadline, the company didn't print half of the items I requested. The other half had to be rushed to my home for delivery the day of a weekend event. I felt like I was just another nameless, faceless order for that promotional products site, but the adverse consequences of their poor service were very real for me! One good thing came out of that experience; I contacted A Creative Touch, Incorporated. I had met Renée and heard wonderful praise about her through local business networking contacts. I switched my business over to her, and I haven't looked back! No more worries and no more hassles. I can't speak highly enough about Renée and her team; they are always professional; the whole team is aware of my needs and my order; and they produce a top-quality product--on time, every time. Renée has high standards, and I can count on her to provide us with products and service to make our business look good. 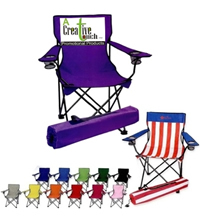 One of our biggest projects with A Creative Touch, Incorporated was a folding beach chair with our logo on it. I keep mine in the back of my trunk to use at my son's soccer games. Every time I use it, people comment on the chair; they're so impressed with the quality! As for me, I'm impressed with A Creative Touch, Incorporated." "I have used A Creative Touch, Incorporated to purchase several items for our volunteer awards banquet and have been pleased with the products, timeliness and supreme customer service. 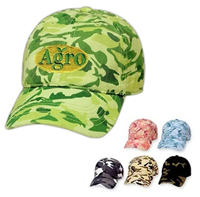 I would recommend them to anyone looking for unique gift products." "I've worked for an assisted living facility for the past eight years. When I joined the company, our VP of Marketing suggested working with A Creative Touch, Incorporated because of their perfect track record and excellent customer service. The service is indeed wonderful, and I appreciate the great communication and follow-up Renée and her team provide. As for the products, well, they speak for themselves! Each year, we print a Norman Rockwell-inspired calendar that we distribute to area medical offices. Everyone loves them. In fact, many of the doctor's offices make it a point to call us to ask for a new one each year! 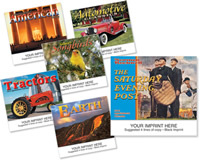 We enjoy knowing that our calendar is so well-received and that it keeps our company top of mind all year long." "We always receive excellent service from A Creative Touch, Incorporated! Often, when we have a short turn-around time, Renée's clear-cut concise advice helps facilitate my job. She is upbeat, positive, accommodating and flexible. In short, her enthusiastic attitude is the best! The quality of products is always superb and the response time has a direct impact on our strategy and decision-making, including how we allocate resources for future planning. A Creative Touch, Incorporated is truly an asset to our company." "In our business, little things (like our bon bons) mean a lot. As a regular customer, R. Renée Jones really understood our approach to making award-winning hand-dipped chocolates. 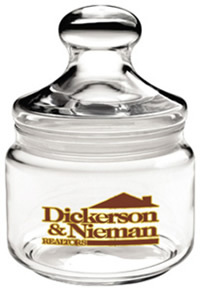 Because we market our product as a decadent, yet affordable indulgence, we needed packaging that reflected our branding. But when Renée first approached us about using her promotional services, our gift bags were more of an embarrassment than a source of pride. She gently suggested that we consider investing in a high-quality boutique gift bag that would better reflect our image. She did all of the research for us and brought us an assortment of samples to review. Of course, I fell in love with the most expensive one! As a small company on a tight budget, we were unsure about making such a big leap in our packaging expenses, but it paid off almost immediately. A month or so after we had begun using our new (and greatly improved!) gift bags, a new customer came to purchase bon bons. 'How did you hear about us? ', we asked as per our standard protocol with new clients. "I saw a woman carrying your shopping bag around and I copied all of the information off of her bag", the new customer replied. At that moment we knew that Renée's counsel had been invaluable. 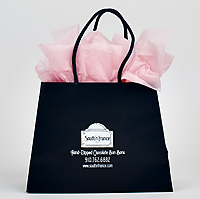 Today, our gift bags are viewed as one of our signature touches. Customers love how even a modest bon bon purchase feels like a high-end luxury gift when presented in such elegant packaging. We've re-ordered gift bags many times, and there was just one occasion on which we were not fully satisfied with our order. Due to what looked like a printing machine malfunction, the corner of each bag had a minor scratch. Any other retailer probably would have let this small imperfection go, but since we view our gift bags as a symbol of our high-quality handmade product, we decided to bring it to Renée's attention. She immediately sprang into action to correct this minor glitch, sending samples of the scratched bag back to the manufacturer and negotiating for them to replace the slightly imperfect lot with a new run that matched the superior quality we had grown accustomed to receiving. Renée's high standards, excellent communication, sense of urgency, and strong follow-through proved that she cares just as much about our company image as we do. Our new bags arrived so quickly that not a single customer received a less-than-perfect gift bag. In short, we feel that A Creative Touch, Incorporated is the ideal match for our business. To paraphrase another famous chocolate lover: "Quality is as quality does". 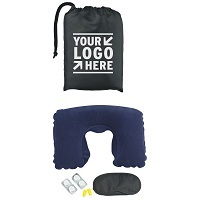 A Creative Touch, Incorporated is a quality promotional products company with strong integrity and legendary customer service, two priceless luxuries in today's business world." "A Creative Touch, Incorporated has been wonderful to us! Our nursing home residents love the neck pillows that you provided for them for Christmas this year. Thanks for working so hard to meet our short deadline and get them to us on time. I will definitely be calling you in the future." "I have been doing business with A Creative Touch, Incorporated since 2007, and each time I place an order, the service is just wonderful! Renée and her employees are always very pleasant and helpful. I am consistently impressed that they send multiple emails updating me on where our products are and when they will arrive. Even better, no matter what I order (and I've ordered everything—tote bags, journals, t-shirts, travel mugs, pens, chocolate "Oscar" statuettes, even my own wedding favors! ); it always arrives on time. The team sends us a thank you card after each order, and I really appreciate this nice and personal touch. I feel as though we are good friends, even though we have never met. 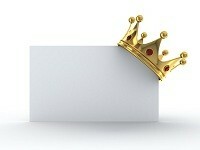 Rest assured that I will continue to order from A Creative Touch, Incorporated whenever possible." "Words cannot describe how helpful A Creative Touch, Incorporated has been to my organization. The team always provides excellent customer service and amazing turnaround time for items I have struggled to get from other vendors. And, I can always count on receiving pricing, proofs, and order tracking information in a timely fashion. 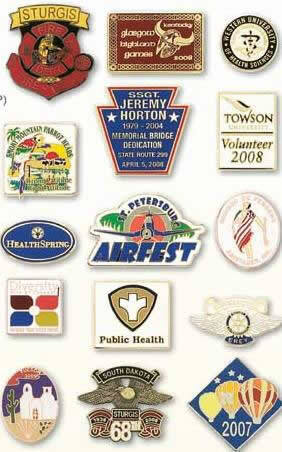 But it's not just the services A Creative Touch, Incorporated provides—the quality of the products is great! From the PVAMC tablecloths to the Volunteers Make a Difference pins, everything is first class. As to the most recent delivery of portfolios, our Program Manager said that they were "perfect" for the two-day event she attended and that everyone "loved them". The portfolios came earlier than expected and were just priceless for our recent returning soldiers and their families. Thanks to A Creative Touch, Incorporated, we are able to provide even better service to our veterans and volunteers."